Link-a-Pix is a clue-linking puzzle where every grid has a picture hidden inside. The aim is to reveal the picture by painting paths to link the clues. The puzzle is solved by connecting pairs of clues which have the same colour and number. The number shows the length of the line which will connect them. 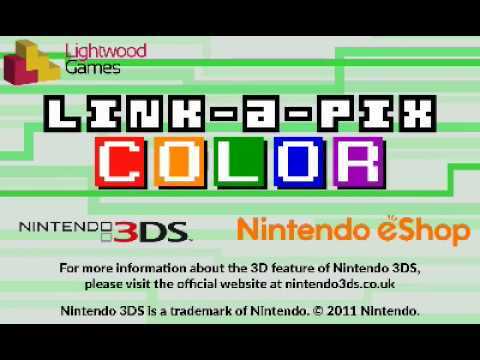 Link-a-Pix Colour was released on 3DS 458d ago in the US and the UK. Notify me when Link-a-Pix Colour is available.